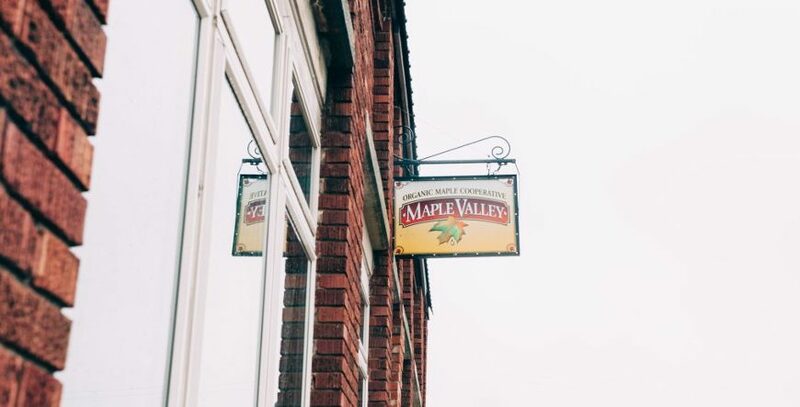 As you may have already known, Maple Valley’s headquarters are located in the small town of Cashton on the western half of Wisconsin. We are open Monday through Friday every week and are happy to give tours to interested customers. However, if you are not located in Wisconsin, a visit to our headquarters might not be a realistic goal. So, we are offering this virtual tour of our headquarters so you can get a look behind the scenes. Read on to see how we operate! Maple Valley headquarters is housed in a historical brick building, at 919 Front Street, in downtown Cashton. The town of Cashton has a population of just over 1,000 people, so our building is not hard to find. One of the businesses that occupied this building, before Maple Valley moved in in 2003, was a farmer’s feed cooperative. Included in this parcel is the main building which houses offices, packaging facility, & bottling room. There is also a second building which is a warehouse that is used for storage. Right inside the front door is the Maple Valley retail store. 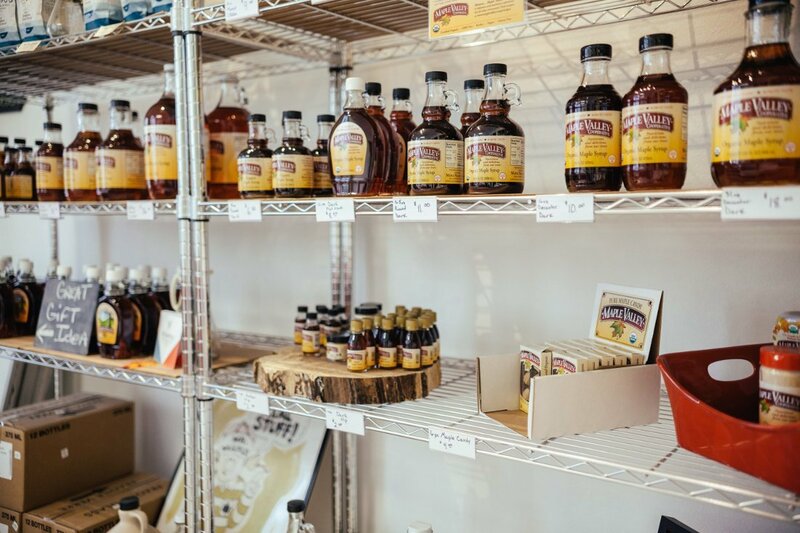 It is a small space where we sell our syrups and other maple products as well as Master Cleanse items and Kickapoo Coffee. This space is mostly frequented by locals, but we sometimes get visitors who are driving through the area. This space also has two offices leading off of it. These are used by our Shipping Manager & Customer Service Assistant Nicole and Production Manager Justin. If you pass through the storefront through a green door, you will find yourself in our shipping area. It is here that Nicole puts together individual orders from our website as well as Amazon, Ebay, & Jet. She also puts together smaller orders for wholesale customer. It is also in this large space that Justin, Craig, & Nicole build pallets for larger wholesale customers and prepare them for shipment. Leading off of this space at the front of the building are the offices of Renee, our General Manager; and Alex,our Social Media, & Marketing Manager. 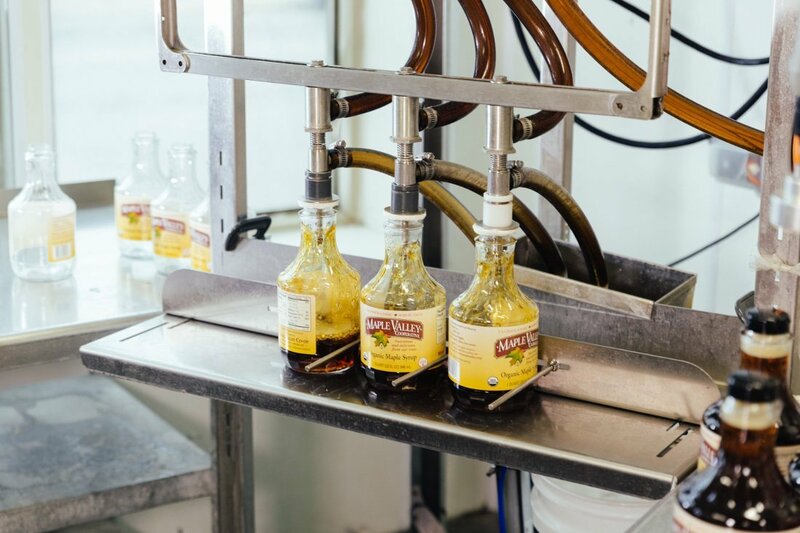 Deeper in to the space you will find the Bottling Room. This is where Justin, our Bottler, heats up maple syrup from our farmers, filters it one more time, then puts it in to bottles. These bottles are then put in to boxes and sent out to the shipping area to cool and then shipped. Justin doesn’t bottle every day, but when he does, he will process several 55 gallon barrels in one session. Behind the main building, you will find an employee garden, the parking lot, and our other building. 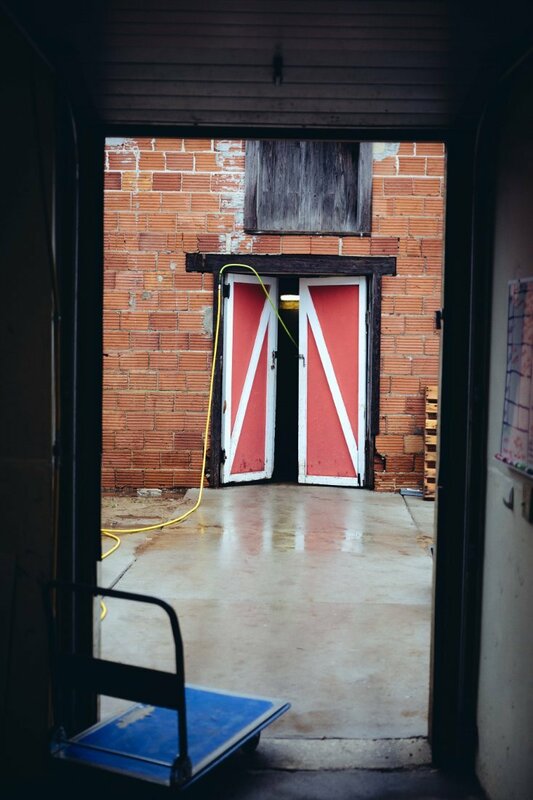 This building is a large warehouse space where we store excess barrels of syrup as well as miscellaneous supplies. It is also where we store the forklift that we use to load pallets onto trucks when they come to pick up. 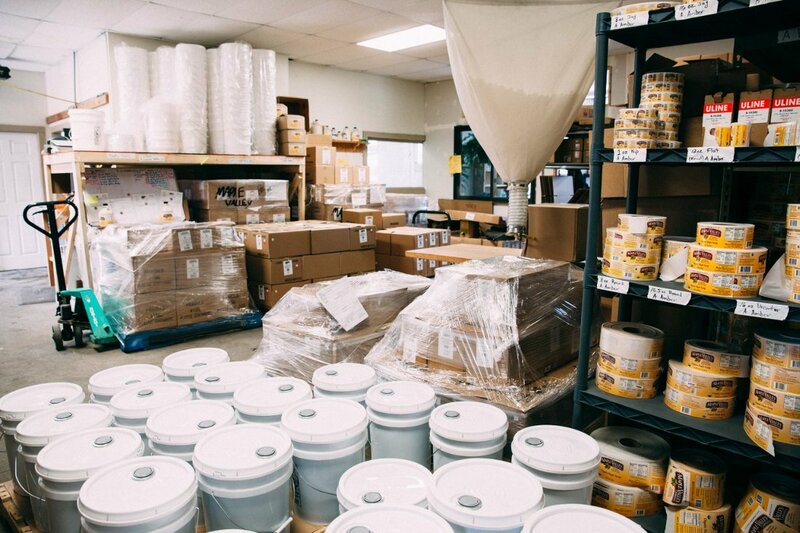 That’s it – our entire facility! It isn’t much, but it’s home and we like it. Perhaps one day you will be able to stop by and see it for yourself!